I have had it in my mind for some time now that I needed a cutting garden. A cutting garden is a spot where you grow flowers expressly for the purpose of cutting them for flower arrangements inside. 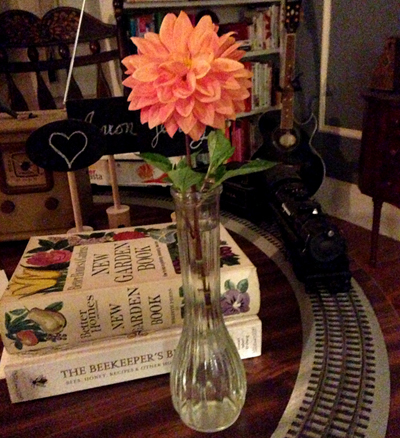 I love having flowers in the house and once vowed for year to always have an arrangement at all times. In the interest of not breaking the bank and also enjoying something I grew myself, a cutting garden seemed like the perfect plan. 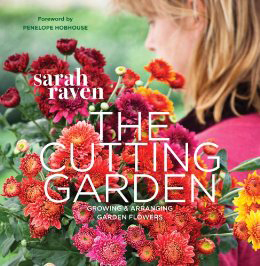 There is even a book The Cutting Garden all about the topic. This spring, I finally had Aaron talked into it. 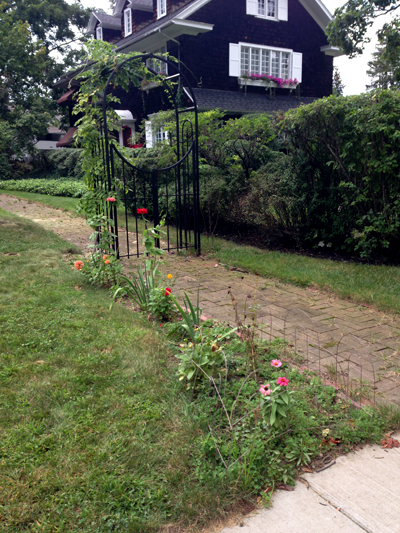 He dug up a corner of the yard along our path and we planted some seeds and some small plants. I know what you are thinking. That does not look anything like the cutting gardens I have linked to. Well, it's a start. I am hoping it fills in a bit more next year and I already have plans to add to it. Baby steps. Of the few flowers I did get they were beauts. Cutting gardens are a big thing in my family. My Aunt used to have amazing cutting gardens. 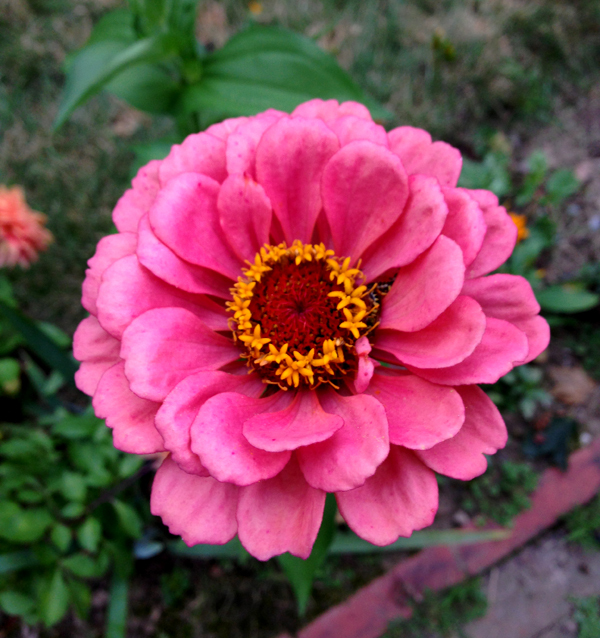 She would show up at our house with huge bouquets of Cosmos, Zinnias, Marigolds and Sunflowers. 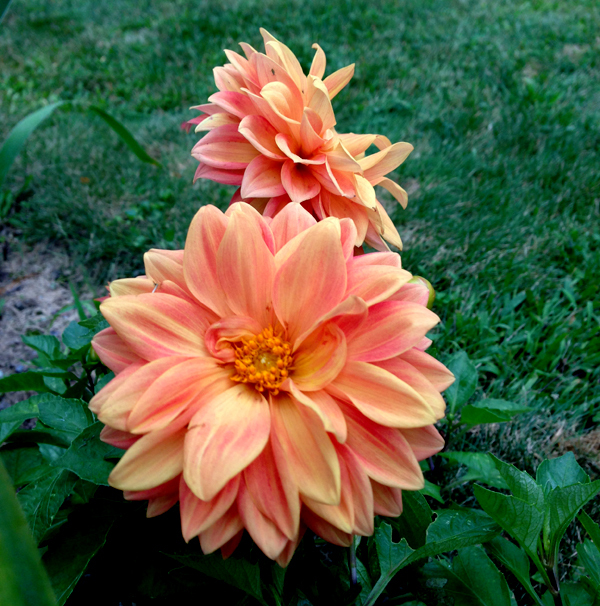 She always called them "hot" flowers because they thrived best when it was REALLY hot outside. The funny thing was that she never really plotted her garden as a cutting garden. Instead, she planted all of these flowers in and among her vegetables so that they grew better. So like the beefstake tomatoes were always surrounded by Marigolds. She said "that's how these things work together". Greg is a passionate vegetable gardener and has never really fulfilled his dream of a big garden thanks to tons of deer eating stuff. We have a perfect spot in our new yard to begin a veggie garden (with a fence) and I plan to plant the HOT flowers all around them for dual purpose of cutting and helping the other stuff grow. Mary-Irene - that is wonderful! I had cosmos too, earlier in the summer. Squirrels ate my sunflowers! I love carrying on family traditions like "HOT flowers"!